Honolulu Festival is a great opportunity for the sister cities of Honolulu to promote themselves and attract more tourists. 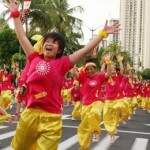 Visit Honolulu for the city's largest cultural event. 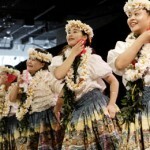 Sister City delegations are invited to participate in the Honolulu Festival, the largest cultural festival of its kind in the State of Hawaii. Invitations to the Governor's Luncheon and other official appointments can be arranged. 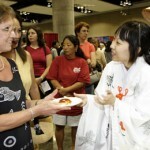 The Honolulu Festival Foundation can introduce the official inbound tour operator for international participants (JTB Global Travel Service, LLC) Which can provide professional and economical multilingual support in English, Korean, Japanese and Chinese and assist with the economical arrangements of accommodation and transportation in Hawaii. The Honolulu Festival Foundation will provide a letter of invitation for accepted performance groups which past groups have used to assist them in self fundraising and receiving grants from their own local authorities to cover their travel and accommodation costs.